Women (and men) across the globe mourned a deeply tragic loss earlier this week. 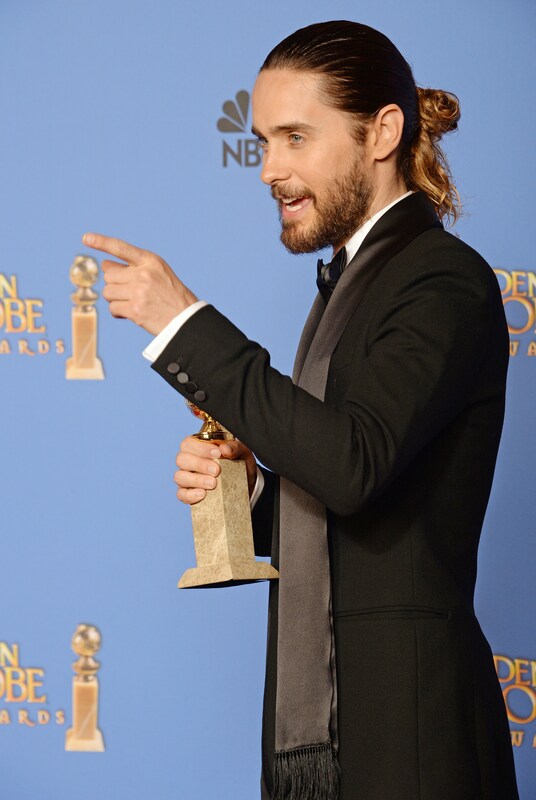 Of course I am referring to the sudden death of Jared Leto's infamously luscious locks. The social media sphere went absolutely bonkers following a photo of the rocker's gloriously long ponytail dangling close to a pair of scissors. While the transformation from long-maned man to buzzed beau was definitely shocking, why did it induce such widespread panic among fans? As it turn outs, ladies looove the man bun, according to date-auction website WhatsYourPrice.com. This clever dating company surveyed a group of women to find out their stance on the trendy 'do and on guys sporting long hair in general. According to over 60,000 polled, a whopping 76% of women are fans of the man-bun, while only 24% prefer a clean-cut look. Wow. I knew this "man-bun" trend was recently popular, but not that popular. This certainly explains the public outrage at Leto's trim. What is even more interesting is that generally younger women were fans of long hair while older women fans of short. This suggests a preferential difference between Generation X and Generation Y — which is probably less surprising, as us Gen. Y-ers have a reputation of marching to the beat of our own drum (guilty as charged). As for celeb stylist Vaughn Acord, founder of V76 by Vaughn, he's not shocked that Leto got tired of his long locks. "I'm more surprised it lasted as long as it did," he said in a statement, "There isn't a lot that Jared hasn't done with his hair. He adapts well to the roles he plays, but it will be interesting to see how he rocks this new look on state with 30 Seconds to Mars." If you're amongst the group of long-haired fanatics, don't be ashamed! According to CEO and founder of WhatsYourPrice.com Brandon Wade, “Men brave enough to wear chic and edgy hairstyles have a primal appeal that many women simply can't resist.” See, it's not our fault. While we lost what is probably the world's most famous man-bun, many of Hollywood's hottest (and some average Joes, too) have capitalized on the trend of late. Let's take a look, shall we?